School-leavers should be encouraged to swear an oath of allegiance to Queen and country, says a report commissioned by Gordon Brown on British citizenship. Report author, ex-attorney general Lord Goldsmith, says it would give teenagers a sense of belonging. Council tax and student fee rebates are suggested for people who volunteer - as well as a "Britishness" public holiday. The PM's spokesman said he welcomed the "interesting" review, adding that it had sparked "quite a lively debate". However, John Dunford from the Association of School and College leaders said the citizenship ceremony was "a half-baked idea". A Scottish Government spokesman said it did not support the plan and did not believe it would find favour with parents or school pupils. Welsh Deputy First Minister Ieuan Wyn Jones said: "I don't think that's appropriate myself." And Labour peer Baroness Kennedy said: "I think this is a serious mistake - I think it's puerile and I think it's rather silly. "The symbols of a healthy democracy are not to be found in empty gestures and I'm afraid I see this as an empty gesture." Lord Goldsmith, who quit government in June, believes that citizenship ceremonies for teenagers would help improve their sense of what it means to be a British citizen. "Certainly there isn't a crisis of national identity, but the research does tend to show there's been a diminution in national pride, in this sense of belonging," he told BBC Radio 4's Today programme. "The citizenship ceremonies, which are just one of the many things I have suggested, are a way of marking that passage of being a student of citizenship to a citizen in practice. "It does make sense to promote a sense of shared belonging, a sense that you are part of a community with a common venture, to integrate better newcomers to our society and be clearer about what the rights and responsibilities are." Lord Goldsmith said that while he favours an oath of allegiance to the Queen, the statement could be a pledge of commitment to the country or a statement of what the rights and responsibilities of citizens are. He also stressed that he could not see why Republicans would not want to swear an oath, even though they may not believe in the present system of government. However, Graham Smith of the group Republic, which campaigns for the abolition of the monarchy, questioned whether children who refuse to take part will be told "they are somehow less British or less loyal or less patriotic". Shadow justice secretary Nick Herbert said people would see straight through "synthetic patriotism" and that it was "profoundly un-British" to make them swear oaths of allegiance. Lib Dem leader Nick Clegg said taking an active role in society was a better way of creating a sense of belonging for teenagers than asking people to swear allegiance. Citizenship ceremonies already exist for immigrants and the report suggests holding them in schools, where youngsters who are about to leave the school and move on to work or further education could participate. What about swearing allegiance to the country instead of the Queen? Lord Goldsmith says a new British national day should be established by 2012 to coincide with the Olympics and what will be the Queen's Diamond Jubilee. It could operate in the same way as Australia Day, which is a public holiday on 26 January and is used to celebrate what it means to be an Australian. And young people who volunteer could receive a reduction in tuition fees, while others who work in the community could be given a small council tax rebate. A new "Deliberation Day" would be held before each General Election to encourage political debate and other events. The peer also proposed that ministers should consider withdrawing Commonwealth and Irish citizens' right to vote in UK elections. Is it really un-British to celebrate Britishness? But campaign group Unlock Democracy described this as a "gross insult to expect soldiers to die for this country while removing their right to have a say". 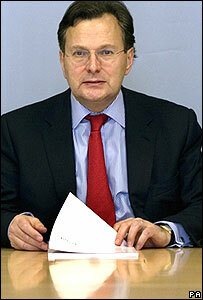 Lord Goldsmith has called for Britain's old treason laws to be scrapped or reformed. At the moment they include sleeping with the wife of the heir to the throne, which is punishable by life in prison. The peer has also hinted at updating the national anthem by removing verses which are rarely performed. Who swears oaths in today's UK? Should UK teens swear allegiance to Queen?